dSploit is a nice Android network penetration testing suit. It comes with all-in-one network analysis capabilities. Like most of the other penetration testing tools, it also comes for free. So, you can download and use this app on your Android device and perform network security testing. It has various pre-complied modules to use. The app is designed to be very fast, handy and easy to use, it’s just point and click. dSploit supports all Android devices running on Android 2.3 Gingerbread or higher, and you also need to root your device. If you are newbie, we will never recommend you to use the app if you don’t know how to root your Android device. After rooting your device, you need to install BusyBox Installer. These are the available modules in the app. Network Spoofer is another nice app that lets you change the website on other people’s computer from your Android phone. Download the Network Spoofer app and then log onto the Wi-Fi network. Choose a spoof to use with the app then tap on start. This app is considered as a malicious hacking tool by network administrators. So, don’t try on unauthorized networks. This is not a penetration testing app. It’s just to demonstrate how vulnerable the home network is. Network Discovery is a free app for the Android device. The good thing is that the app doesn’t need a rooted device. This app has a simple and easy to use interface. It views all the networks and devices connected to your Wi-Fi network. The application identifies the OS and manufacturer of the device. Thus the app helps in information gathering on the connected Wi-Fi network. Shark for Root is a nice traffic sniffer app for the Android device. It works fine on 3G and Wi-Fi: both network connectivity options. You can see the dump on phone by using Shark Reader that comes with the app. You can also use Wireshark a similar tool to open the dump on the system. So, start sniffing data on your Android device and see what others are doing. Penetrate gives you the wireless keys of Discus, Thomson, Infinitum, BBox, Orange, DMax, SpeedTouch, DLink, BigPond, O2Wireless and Eircom routers. 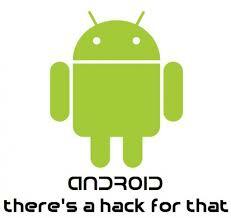 DroidSheep is a session hijacking tool for Android devices. This is an app for security analysis in wireless networks. It can capture Facebook, Twitter, and LinkedIn, Gmail or other website accounts easily. You can hijack any active web account on your network with just a tap by using the DroidSheep app. It can hijack any web account. This app demonstrates the harm of using any public Wi-Fi. DroidSheep Guard is another Android app that also developed Droidsheep. This app does not require a rooted device. This app monitors Android devices’ ARP-table and tries to detect ARP-Spoofing attack on the network performed by DroidSheep, FaceNiff and other software. WpScan is the WordPress vulnerability scanner for Android devices. This nice app is used to scan a WordPress based website and find all the security vulnerabilities it has. WPScan also has a desktop version of the app that is much powerful than the Android app. We know that WordPress is one of the most popular CMS and is being used by millions of websites. The Android version of the app comes with few nice features. The app was released on Google Play but Google removed the app. The full source code of the app is available from Github. One thing to note that WPScan Android app is not related to the desktop version of WPScan. So, never think it as an official WPScan app. Nessus is a popular penetration testing tool that is used to perform vulnerability scans with its client/server architecture. It also released its mobile app to bring its power on mobile devices. Nessus Android app can perform following tasks. This app was released on Google Play store almost 2 years back by Tenable Network Security. Later Google removed the app from Play store. Now the official link has been removed. So you can try downloading links available on third party websites. But be careful and check the app first. FaceNiff is another nice sniffing app for Android devices. It requires a rooted Android device. It can sniff and intercept the web sessions over the Wi-Fi. This app is similar to DroidSheep, added earlier in the post. You can also say Firesheep for Android devices. Use of this app may be illegal in your area. So, use it wisely. WebSecurify is a powerful web vulnerability scanner. It’s available for all popular desktops and mobile platforms. It has a powerful crawler to crawl websites and then attack it using pre-defined patterns. We have already covered it in detail in our previous article. You can read the older article for better understanding. Network Mapper is a fast scanner for network admins. It can easily scan your network and export the report as CVS to your Gmail. It lists all devices in your LAN along with details. Generally, the app is used to find Open ports of various servers like FTP servers, SSH servers, SMB servers etc. on your network. The tool works really fast and gives effective results. If you are connected to a wi-Fi network and you want to access the router of the network, you can use Router Bruteforce ADS 2 app. This app performs Bruteforce attack to get the valid password of the router. It has a list of default passwords that it tries on the router. Most of the time, the app cracks the password. But you cannot be 100% sure in Bruteforce attack. It comes with a sample txt file which contains 398 default passwords used in different routers. You can add more passwords in the list. But there is one limitation. This app only works with dictionary file of less than 5 MB. And try it only when you have good Wi-Fi signal. This is an experiment app and the developer also warns users to try at own risk. AnDOSid is another nice application that can be used to perform DOS attacks from Android mobile phones. It is like LOIC tool for desktop. In the app, you can set target URL, payload size and time difference between two requests. After that click on big GO button to launch DOS attack on a website. It will start flooding target URL with fake request. Use this app if you have a powerful device. Avoid if you have low cost entry level device. AppUse Virtual Machine is developed by AppSec Labs. It’s a freely available mobile application security testing platform for Android apps. This android penetration testing platform contains custom made tools by AppSec Labs. This penetration testing platform is for those who are going to start penetration testing of Android applications. All you need is to download the AppUse Virtual Machine and then load the app for testing. The app comes with most of the configuration. So, you do not need to install simulators, testing tools, no need for SSL certifications of Proxy. Thus, the tool gives ideal user experience. In other words, you can say that AppUse Virtual Machine is Backtrack for Android apps. As we know that world is moving towards apps, AppUse VM has a good scope in future. We see how Android users face attacks and these cyber-attacks are growing. So, it is important for all Android app developers to test their apps for various kinds of vulnerabilities. This entry was posted on Wednesday, September 9th, 2015 at 07:24	and tagged with Android, apps, crack, device, free, hack, login, more, port, port scanner, root, router, scanner, unchain, vulnerability, wifi and posted in Hacks/IOS. You can follow any responses to this entry through the RSS 2.0 feed. « ¿IOS o Android? cual es mejor…..